CARFAX One-Owner. Clean CARFAX. Brown 2011 Ford Edge Limited AWD 6-Speed Automatic with Select-Shift 3.5L V6 Ti-VCT *ONE OWNER*, *CLEAN CARFAX VEHICLE HISTORY*, *NEW OIL & FILTER CHANGE*, *USB / AUX INPUTS TO PLAY MUSIC*, *GPS NAVIGATION W/ BACKUP CAMERA*, *GPS NAVIGATION*, *BACKUP CAMERA*, *LEATHER SEATS*, *HEATED FRONT SEATS*, *SUNROOF / MOONROOF*, *PANORAMIC MOONROOF*, *PREMIUM WHEELS*, *REMOTE STARTER*, *SPLIT FOLDING REAR SEATS*, AWD, 12 Speakers, 18`` Chrome-Clad Wheels, 3.16 Axle Ratio, 4-Wheel Disc Brakes, ABS brakes, Air Conditioning, AM/FM radio: SIRIUS, Auto-dimming Rear-View mirror, Automatic temperature control, Brake assist, Bumpers: body-color, CD player, Compass, Delay-off headlights, Driver door bin, Driver vanity mirror, Dual front impact airbags, Dual front side impact airbags, Electronic Stability Control, Four wheel independent suspension, Front anti-roll bar, Front Bucket Seats, Front Center Armrest w/Storage, Front dual zone A/C, Front reading lights, Fully automatic headlights, Garage door transmitter: HomeLink, Heated door mirrors, Heated front seats, Illuminated entry, Leather-Trimmed Heated Bucket Seats, Low tire pressure warning, Memory seat, MP3 decoder, Occupant sensing airbag, Outside temperature display, Overhead airbag, Overhead console, Panic alarm, Passenger door bin, Passenger vanity mirror, Power door mirrors, Power driver seat, Power passenger seat, Power steering, Power windows, Premium audio system: Sony, Radio data system, Radio: Sony AM/FM Stereo w/HD Radio/MyFord Touch, Rear anti-roll bar, Rear reading lights, Rear seat center armrest, Rear window defroster, Rear window wiper, Remote keyless entry, SIRIUS Satellite Radio, Speed control, Speed-Sensitive Wipers, Split folding rear seat, Spoiler, Steering wheel mounted A/C controls, Steering wheel mounted audio controls, Tachometer, Telescoping steering wheel, Tilt steering wheel, Traction control, Trip computer, Variably intermittent wipers. Hello, I would like more information about the 2011 Ford Edge, stock# 12237. 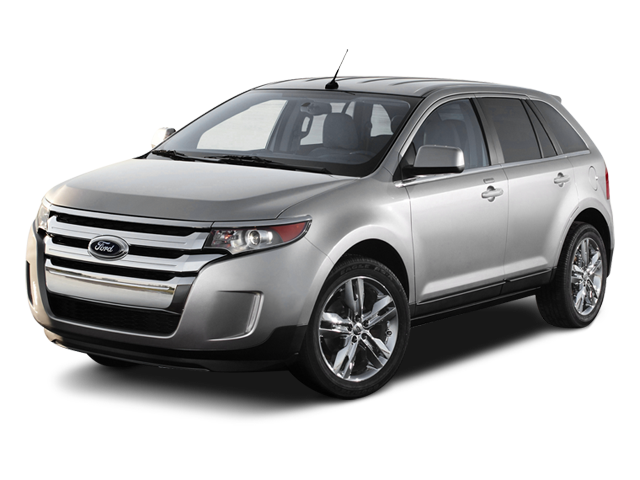 I would like test drive the 2011 Ford Edge, stock# 12237. Please text me about this 2011 Ford Edge (2FMDK4KC0BBA51442).